Digital technology has come to pervade almost every aspect of human interaction in present day communities. It shapes how individuals share information, how they bank, and even how they commit crimes. Today’s high-tech environment and “the deep web” present new, and arguably the most pressing challenges to law enforcement and the justice system as electronic crime is growing in substance and volume worldwide. The Federal Bureau of Investigation has been in the media spotlight recently for catching the owner and administrator of the Silk Road, the online marketplace established in 2011 that was often used to buy and sell illegal drugs, false identification records, handguns and the like. The marketplace utilized Tor technology to create a completely anonymous portal for buyers and sellers to conduct their transactions and used Bitcoin currency to keep financial transactions virtually untraceable. 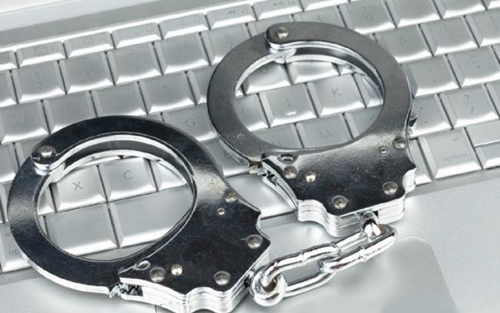 Media attention on this high-profile case has shed some light on the legal and technological gaps that exist in law enforcement’s ability to cope with and respond to electronic and cyber crime. Research Director at the National White Collar Crime Center (NW3C), Gerald Cliff, said that while research centers such as NW3C are developing training coursework for computer forensic analysis for electronic devices that use the web to proliferate crime, these advances in responsive law enforcement almost always get tangled in legal questions regarding “right to privacy” and “right against self-incrimination.” Aside from the $37 million worth of bitcoin currency that the FBI has already captured, there remains an estimated $80 billion of password-protected, and therefore, untouchable, money.1 It is currently under question whether the sole possessor of the password, Ross Ulbricht, can be legally compelled to foreclose the password to law enforcement authorities. In addition to this legal barrier, law enforcement are often forced to police in a rapidly evolving age of Internet and digital technology using static, and outdated laws. The two most common legal mechanisms by which law enforcement agencies and personnel are able to pursue electronic evidence and to police computer crime are the Communications Assistance for Law Enforcement Act, which governs law enforcement’s warrant process and the Computer Fraud and Abuse Act, which simply makes it unlawful to gain unauthorized access to a computer. Law enforcement agencies across the country have been responding to the new nature of these threats by expanding their knowledge of social media and utilizing it to solve crimes. Jeff Lybarger of the Internet Crimes and Complaint Center of the NW3C said in his address at IACP this year that social media continues to be a valuable investigative tool to aid law enforcement in tracking identities and news of crime proliferation.2 Even app-like software, such as SnapTrends, has emerged to better help agencies sift through mass amounts of online data and extract meaningful information from targeted searches. To help agencies develop a social media policy, the Criminal Intelligence Coordinating Council’s Privacy Committee developed guidance on Developing a Policy on the Use of Social Media in Intelligence and Investigative Activities. Combating Computer and Network Intrusions: These intrusions come in the form of viruses, spyware and hacking and seek to illegally invade personal and professional systems for information. 1 “Business & Money.” Business Money Why the FBI Cant Get Its Hands on Silk Road Kingpins 80 Million Hoard Comments. N.p., n.d. Web. 11 Nov. 2013. 2 “IACP 2013: Session: Using Social Media as an Investigative Tool.” IACP 2013: Session: Using Social Media as an Investigative Tool. N.p., n.d. Web. 11 Nov. 2013. 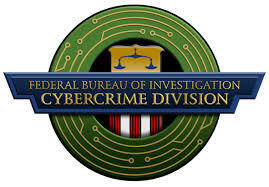 3 “Cyber Crime.” FBI. Federal Bureau of Investigation, 17 Mar. 2010. Web. 11 Nov. 2013.